So last night, I finally got to introduce Smitty to one of my A-team. In a borrowed saddle from a friend who also has a rather narrow pony, I had my first lesson aboard my gawky warmblood baby. My biggest lamentation with Smitty at the moment (this being only 2 weeks into our relationship) is that he is a somewhat lazy fellow. Because it’s important that I establish some basic rules from the get-go, my main emphasis in riding him so far is to get him in front of my leg without getting in the habit of nagging (which I want to do so badly). I’m trying, but I admit this is a lot easier with someone on the ground reminding you to have a hanging leg. A lot of what I got in my lesson was affirmation of some of the things I’ve been doing, which is always encouraging. Our warm up consists of walk halt transitions, using primarily my weight to halt and keeping the expectation that he march off when I ask, not dawdle in a slowly increasing tempo. Other affirmations include my using the walls as a guide for him to pick up the correct lead, and pushing him forward in the downward transitions (rather than let him collapse and stop like he really wants to do). Of course it wouldn’t be a lesson if I didn’t learn things, and I definitely learned plenty. I forget oftentimes to use my voice in combination with a leading word- for instance, I just say “trot!” instead of “…and trot” or “alright Smitty, trot!”. It seems silly, but it’s more fair to let him know that something is coming even if it means a bit more nattering to my horse. He’s already picking up on the verbal cues really well, but it’s up to me to continue to be consistent and give him the best opportunity to succeed at what I’m asking. Position is also something I’m struggling a bit with, since Smitty tends to bounce me out of the saddle with every trot step. My hands like to creep higher and higher with his head, so I need constant reminder to keep my hands low. Physical reminders to do this include thinking about touching his mane with my hands, looping a finger through my neck strap at the canter, and thinking about keeping my elbows heavy. 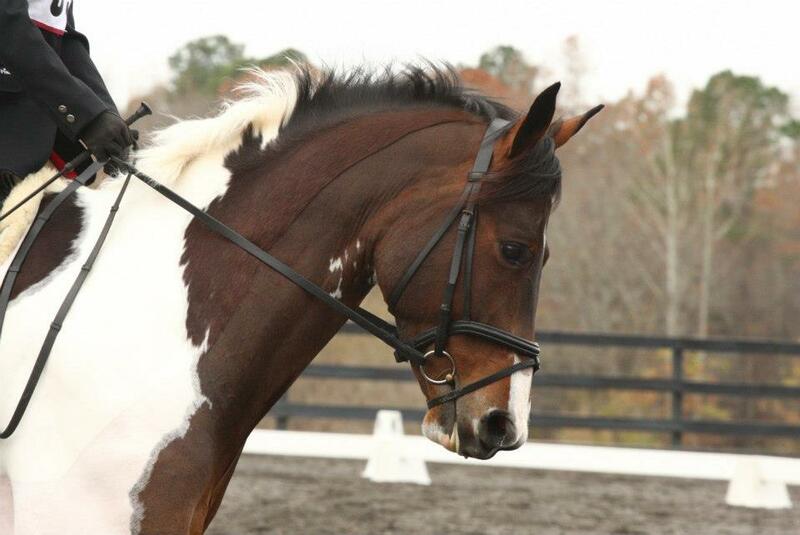 In the canter, really think about releasing with the reins, don’t be tempted into pulling. Overall, it was a super lesson, and Eliza really liked and had good things to say about my new youngster. I’m already looking forward to hitting the saddle again tonight and giving some of this new content a go again! I love the idea of having physical reminders- it makes it so much more concrete in my mind. Sounds like you have yourself a super cool baby, I’m loving your updates on him! First lesson is a success! WOOO! Love me some baby pones. Yay!! Go baby Smitty! I look forward to watching you two progress! Ugh I need all the reminders I can get to not nag lol. I esp love the point about being *quiet* in the walk while working on up and down transitions. I just had the exact same first lesson on my new 4yo mare on Tuesday. I’m having the same problem with my hands, I like the physical reminders I’ll have to keep them in mind when I ride tonight. Sounds like a lovely lesson! I desire more media of the baby!